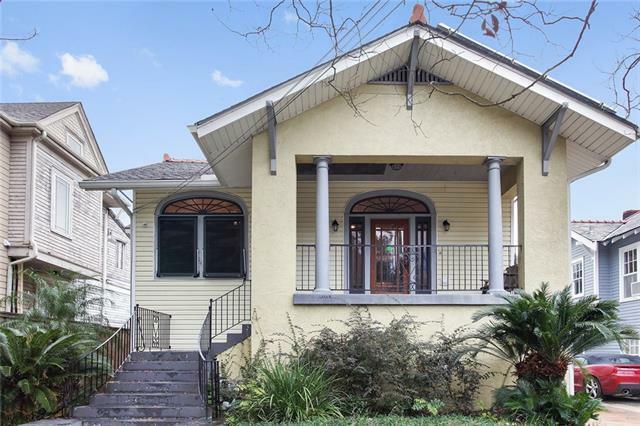 Rare opportunity to live on North Carrollton just steps from City Park & the Fairgrounds! The second flr of this charming property boasts original hardwood floors, exposed brick, marble countertops/flooring in the kitchen plus a deck & patio perfect forentertaining. Downstairs could be used as a mother-in-law suite, guest apartment or living space for the kids. This property is complete w ample off-street parking, solar panels, hurricane shutters & a two-speed heat pump! Listing provided courtesy of Kat P Bosio of Keller Williams Realty-New Orleans.